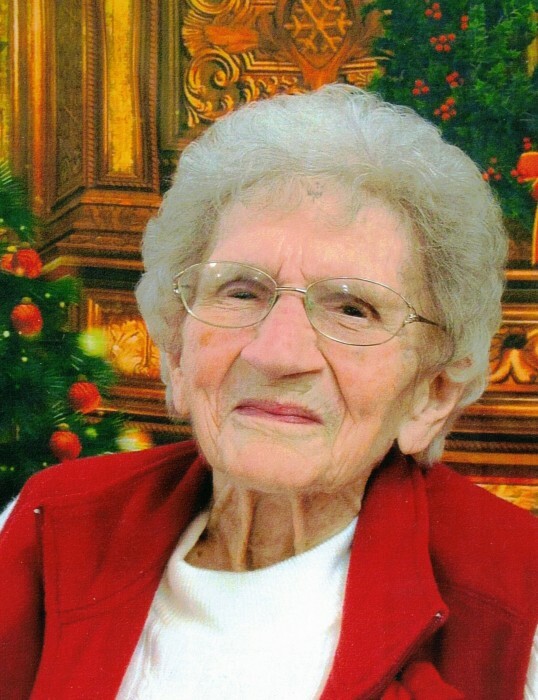 Obituary for Mary C Luckasavitch | Heubner Funeral Home Barry's Bay Ltd.
Mary C Luckasavitch of Barry’s Bay passed away peacefully at St. Francis Memorial Hospital on February 8, 2019 in her 100th year. Mary was the daughter of Vincent Kutchoskie and Catherine Lorbetskie, deceased. Sister of the late Catherine (Albert Yeretch) and the late Barbara (Alex Shulist). Sister of Brothers Benny (Ephrazine Burchat), the late Edmund and the late Zigmond (Bernadette Kuiack). She is predeceased by husband Paul in 1997. Mary was a loving mother to Sally Trebinskie, late Clarence, Bernadette Prince, late Alfie, Joseph (Lorraine Trebinskie) late Stanley (late Jacqueline Brotton) Rose Bibby (Alan Bibby), Francis (Elizabeth Olsheskie)and Joanne Yakabuskie (Ed). Loving Grandmother to 20 Grandchildren, Great Grandmother to 33 and Great Great Grandmother to 33.